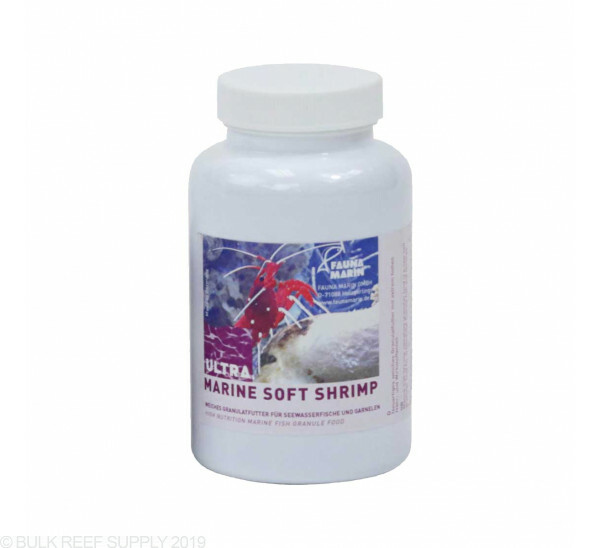 A customer and employee favorite here at Bulk Reef Supply. The Fauna Marin pellet foods use extremely high quality ingredients, with extremely high protein content and Aloe Vera, just a few pellets a week will help keep your shrimps nutrition balanced while feeding your fish as well. Fauna Marin Soft Shrimp food is made for ornamental marine shrimp and fish. Made from soft granular food - very similar to natural food. Contains 10% Aloe Vera, high omega-3 fatty acids and over 1400 mg Astaxanthin.